1. First photo shows site of the old Coaldale Coal and Coke Company tipple. 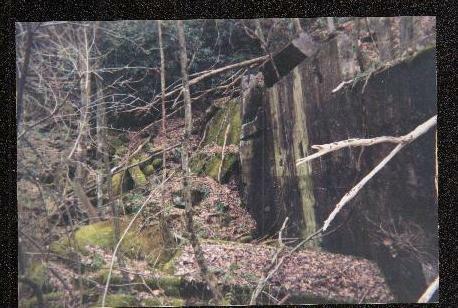 All that remains today are old foundation ruins that once supported the tipple structure. 2. Second photo show another view of old tipple site. 3. 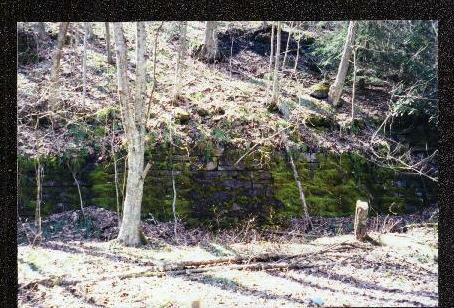 Third photo shows a Coaldale Coal and Coke Company coke oven near where the tipple stood. 4. 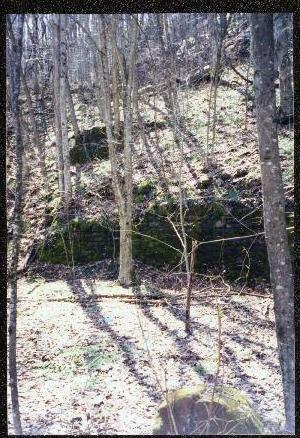 Fourth photo shows a portion of the coke ovens that extended approximately 1500 feet around the side of the mountain. 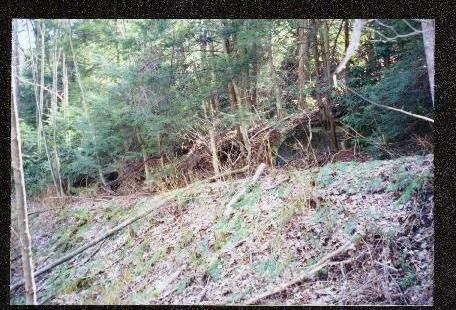 These photos do not show a great deal of detail but they do illustrate how Mother Nature reclaims that which is Her's. Hi Diz, I made two trips in two weeks to Coaldale to explore the old tunnel and mine sites and am sending you these photos and info. 1. 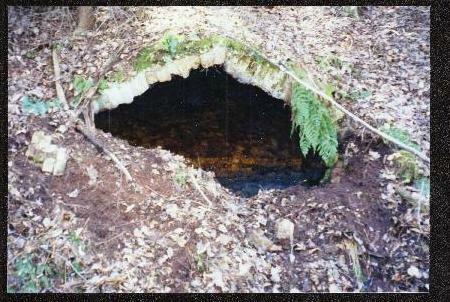 First photo shows the Algoma mine portal (3/13/04). If you look closely you can see at the top of the portal where it says, 19 ALGOMA 02. In may of 1964 I was driving a truck for Bailey Lumber Company in Welch and I hauled seven tons of rock dust in fifty pound bags to this portal five days a week. I had to hand load the bags into a mine car on a side track next to this portal. 2. The second and third photos show two different views of the large concrete foundation where the water tank sat at Coaldale. 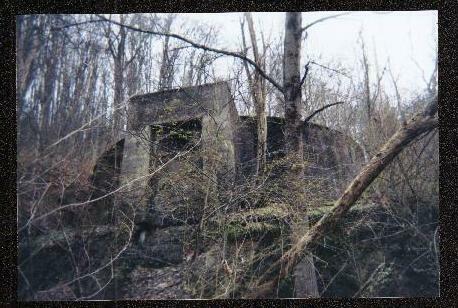 It was on the right hillside just before you got to the old N&W Elkhorn Tunnel entrance. 3. 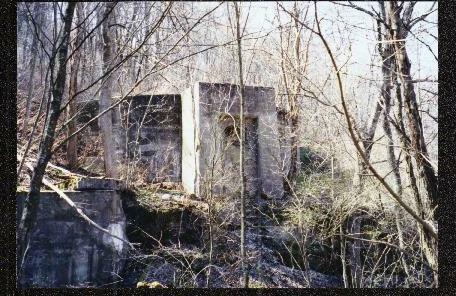 The fourth photo shows the site of the N&W Elkhorn Tunnel at Coaldale. It appears the tunnel has long since been shot in to seal the tunnel. This single track tunnel was 3014 feet long and exited the east side of the mountain at Ruth. 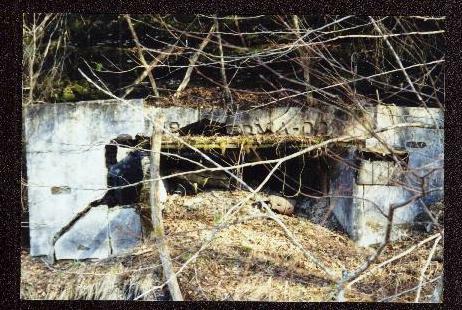 Over the years the Elkhorn Tunnel has also been called the "Flat-Top", "Mill Creek", and "Coaldale Tunnel".